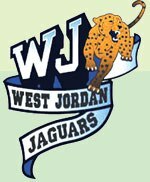 I graduated from West Jordan High School in West Jordan, Utah! I would not trade those years for anything! I graduated in 1989 with well over 600 students in our class! Did I know every one of them? I would have to say no, I didn't, although I had probably met a vast majority of them at one point in time or another! I have attended every reunion we've had, even though the people I'd like to see the most will most likely never attend a reunion! I'm proud to say that some brilliant Jaguar alumni have come up with a couple great ideas! First, once or twice a year there is a Jaguar alumni gathering, usually at a park, nothing fancy, a potluck with good friends and new friends alike! For any WJHS alumni, not just one class or another! The other idea is a monthly breakfast! This is on a Saturday morning where a local place is chosen and all who want to come and enjoy good eats and great company! They've been doing this for months, but this morning was the first one I've attended! We met at the Blue Plate Diner in Salt Lake City! I will blog more about that on Thursday over at Batty Bites. For today, I went said hi to the few I knew before this morning, then sat in an open seat! Turns out the gal that sat next to me was one that I was hoping to see and visit with today! Turns out we are cousins, somewhere along the line! She was excited about the possibility, too! After we ate, most of them left and the few of us left sat and visited for another hour! Represented were from classes 1985 to class of 1989, a variety by any definition! So, I would say it was a great success...made a new friend of few....watst2u? Ami, I am so glad I went. It was fun and I made a couple new friends to boot! I will definitely help spread the word and see what I can about attending...will the monthly breakfast meetings be on hold until after that?